When area drivers need a new or used family vehicle, they know that the Honda Odyssey is one of the best options near Walla Walla and College Place. 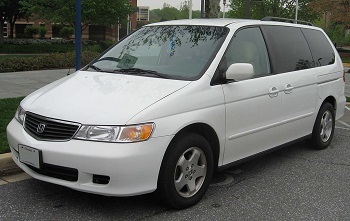 This minivan has been in production for over twenty years now, and many of the models from that very first production year are still in service to their owners. Its spacious interior, well-appointed cabin, and fuel-efficient engines have made it a true contender in a market filled with competition, and the 2015 Honda Odyssey represents the latest in decades of minivan evolution. 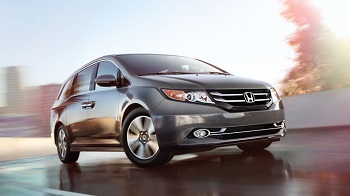 And if you want a pre-owned vehicle, used Honda Odyssey models are beloved among our Walla Walla and College Place drivers for their low prices and long-term dependability. Let’s take a look at your Odyssey options, past, present, and future. Honda’s first minivan made a splash in the American market, which has been used to more utilitarian vehicles like the Dodge Grand Caravan or excessively equipped (and overpriced) minivans like the Chrysler Town & Country. 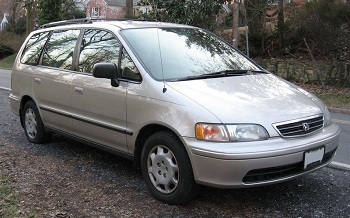 From 1994 to 1998, the Odyssey was a simple yet elegant minivan in an auto world that had pushed drivers to the extremes of basic or luxury – in short, it was the everyman’s minivan. Features like remote keyless entry, a sunroof, second-row bucket seats, and an available roof rack make it easy to see why first-generation used Honda Odyssey models are still on the streets of Walla Walla and College Place. While the first-gen Odyssey was small yet spacious, the second-generation model grew in size to be closer to the modern minivan. 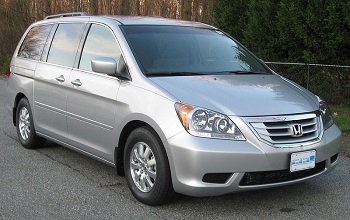 Sliding rear doors replaced the hinged doors of the previous model, and new high-tech amenities became available, including an in-vehicle entertainment system (DVD or VHS) and a minivan first satellite-linked navigation system. Perhaps the most beloved feature of this generation is the third-row “Magic” seat that folds into the floor for easy cargo hauling. The third generation Odyssey is where Honda brought technology and style advances that start to resemble the modern model. 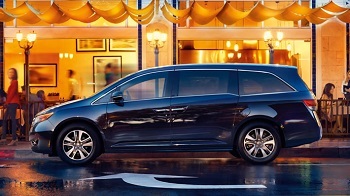 Honda’s Advanced Compatibility Engineering (ACE) Body Structure made its debut to make the Odyssey even safer, and the third row of seating switched over to a popular 60/40 split-folding design for a more customizable cargo area. One of the biggest advantages of the Odyssey came with its expanded eight-person seating, making it a rival for many SUVs in the family vehicle market. This was also the first generation that Variable Cylinder Management technology worked to make the Odyssey’s V6 engine even more fuel efficient. Four different trim levels gave this generation of minivan a very diverse profile in the used car world, making it easy for you to find a third-generation used Honda Odyssey near Walla Walla or College Place that fits your needs. When it comes to advanced luxury features, 2014 and newer models have the HondaVac vacuum cleaner available in addition to old luxury standbys like leather upholstery and heated seating. Each 2015 Odyssey features a 3.5L V6 under the hood with 248 hp and 250 lb-ft of torque. 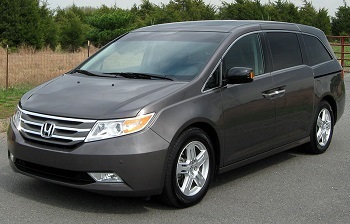 While we are still waiting on official news on the 2016 Honda Odyssey features and specs, we do know that the 2017 Honda Odyssey will kick off a new generation for the minivan, and journalists at Car and Driver have recently spotted it camouflaged on test drives. The Odyssey has been a favored minivan all over the United States, and it looks as though it will be borrowing some elements from its Acura sibling, the MDX crossover. It’s expected that the new Odyssey will keep its 3.5L V6 engine, but judging by the upgrade the Pilot’s powertrain saw, we would imagine you’ll see a similar boost in power and efficiency. Until we know more, there’s one thing we can guarantee about the future: The Odyssey is going to continue to be one of the most popular family vehicles among Walla Walla and College Place families. Whether you’re shopping for a new or used Honda Odyssey near Walla Walla or College Place, you just need to remember one name: Walla Walla Valley Honda. Contact us online or by phone at 509-593-4790 with any questions about our Honda Odyssey selection, or feel free to visit us in person six days a week at 1240 SE Commercial Drive in College Place.